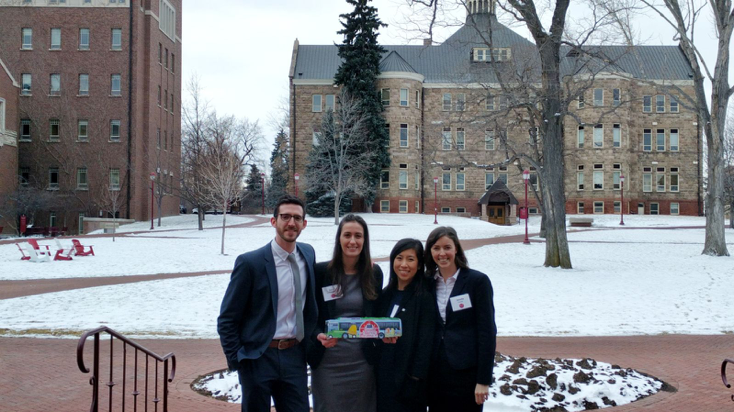 What an amazing opportunity it was to participate in the Race and Case Competition hosted by the Daniel’s School of Business in Denver, Colorado. Unlike other case competitions, the Race and Case is a unique experience that combines academics with a downhill ski race at Breckenridge Resort. The case itself was based on the fast-food company Chipotle. We were asked to evaluate how the company could improve sales after suffering losses from outbreaks of food-borne illness in 2015. We also had to consider the ethics behind the case and how Chipotle could return to former financial glory while also bolstering its reputation and ethical leadership. After weeks of preparation involving late nights and weekend working groups, our case team arrived in Denver on Feb 23, 2017. When we landed there was snow on the ground and it was definitely a little colder than Vancouver, but the weather was beautiful and sunny. Denver is called the “Mile High City,” because of its elevation of 5280 feet or 1610?meters above sea level. To put this in perspective, Denver is almost 3 times the height of Whistler Mountain here in British Columbia. Luckily, the altitude only got to one of us. After a few bouts of sickness, a lot of practicing, and some team bonding, we were ready to go and give a fabulous presentation. The Dean of the Daniel’s School of Business and a number of local business leaders attended the academic portion of the competition. We were required to give our presentation twice in total – once to each of two different sets of judges. The first presentation was held in a small boardroom-like setting and the second in an auditorium lecture hall. Each of the presentations were 12 minutes with a 5 minute question period, where the judges were able to “grill” us on our understanding of the case as well as our recommendations based on our analysis. 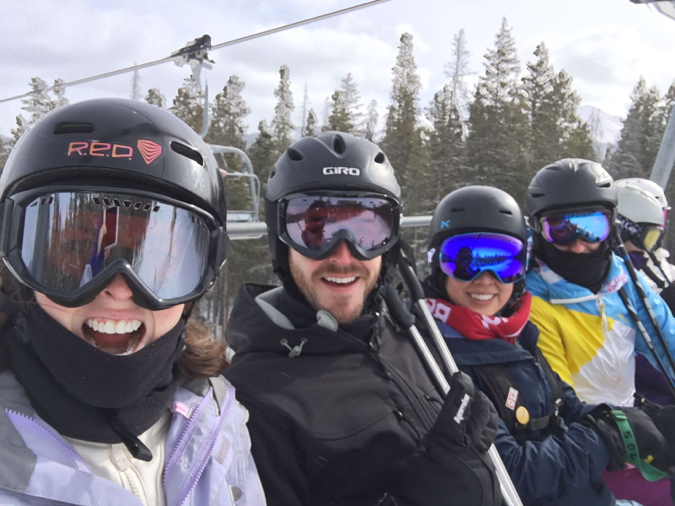 After giving our presentations, we jumped on a bus with the other schools to the ski resort at Breckenridge for part two of the competition – a downhill ski race, which counted for 10% of our overall score. We all managed to get down the course in record time and enjoyed the rest of the day on the beautiful mountains of Colorado. Overall, we had an amazing time and learned so much about business strategy and ethics. While we did not place in the top 3, we came home with a better understanding of some of the challenges that companies face as well as new connections from business schools across the U.S. and from London, U.K. 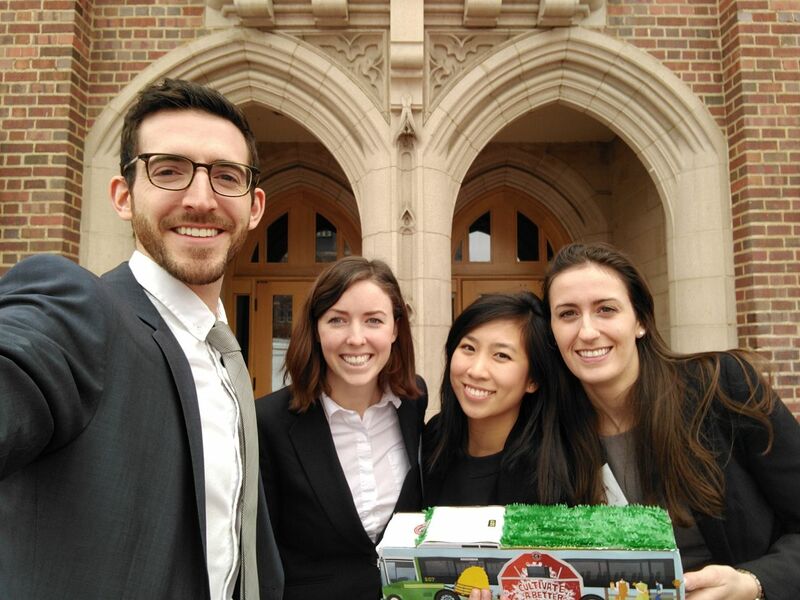 Participating in a case competition can be time-consuming and stressful at times, but the experience is well worth it! You develop a number of skills and build lasting relationships with your teammates. We are so thankful to have the support of the Beedie School of Business and Stephanie Reimer – Manager of Student Engagement, in preparing us for this international competition and sponsoring our participation. This has truly been an unforgettable experience! Sarah is a full-time MBA student who transferred from the Graduate Diploma in Business Administration (GDBA) program. She has an interesting background with a Bachelor’s of Science (Honours) in Kinesiology and a Master’s of Physical Therapy from UBC. Sarah is heavily involved in student life at SFU. 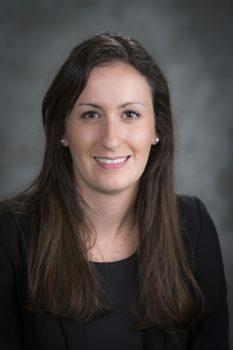 She is the President of the Graduate Business Student Association (GBSA), the MBA class representative for the Graduate Business Women’s Council (GBWC), and an MBA Ambassador. Sarah is also a Graduate Student Society (GSS) councillor and was recently elected to the SFU Senate as a Graduate Student Senator. Sarah is an active member of the Segal Case Club and was the Team Captain for the BC MBA Games and the National MBA Games in Nanaimo, BC. She has also participated in the Acumen+ Sustainability Case Competition and was selected to compete in the Leadership “Race and Case” competition at the Daniel’s School of Business in Denver. When she isn’t engaged in work or community events, Sarah enjoys playing volleyball, skiing at Whistler, and hiking around her neighbourhood on the North Shore.